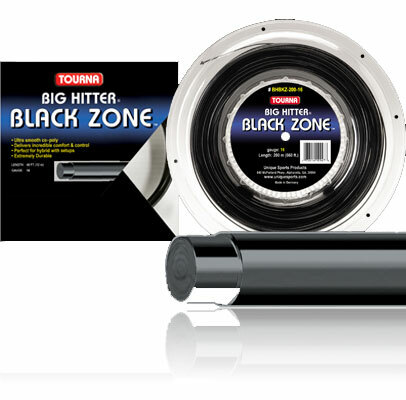 TOURNA BIG HITTER Black Zone is an ultra smooth co-poly. Crafted with the latest advancements in string materials using a series of special heat treatments that strengthen molecular bonding and keep the surface smooth throughout hard hitting play. The smooth surface allows the string to snap back into place for excellent power and spin. Designed for comfortable, controlled power, for faster swing speeds. 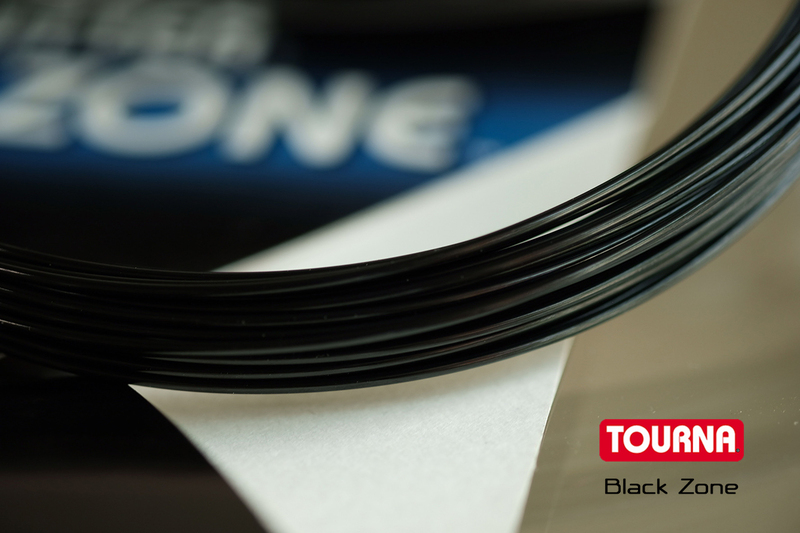 The durable smooth surface makes it perfect for hybriding with softer strings. 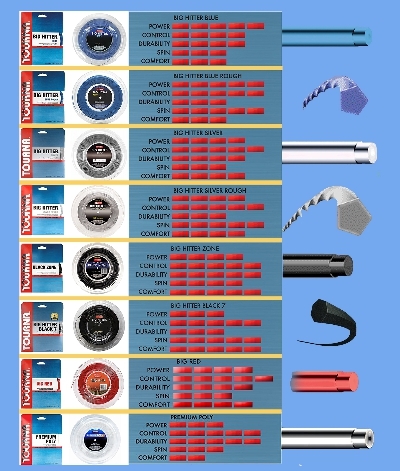 16g & 17g, 40? sets and 660? 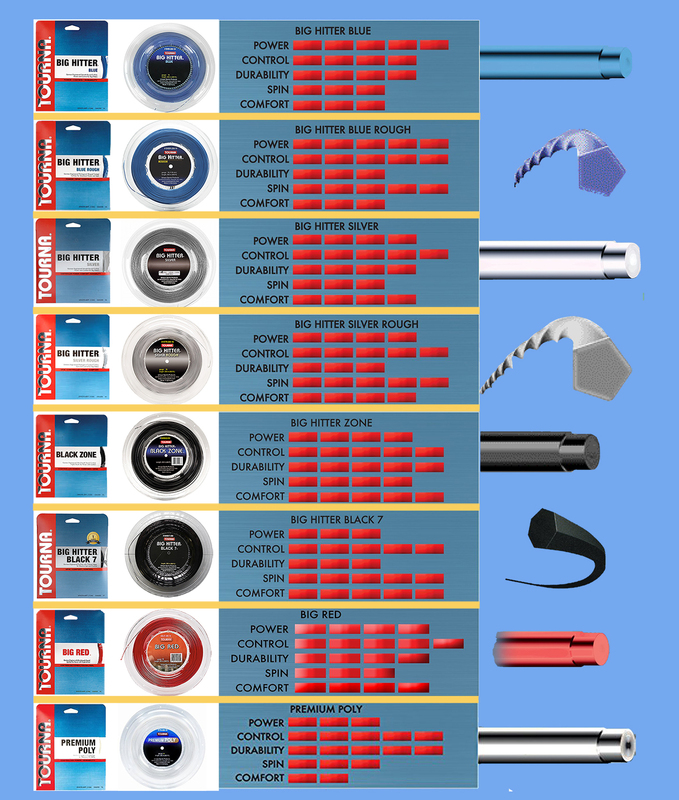 reels. Black color.